This is a picture of me, aged 8. We always had to do what my dad said, and we had to go skating in Birmingham. I loved it. I used to go skating with my dad’s cousin Pearly who lived in Oldbury. I remember one time Pearly sent me around the corner to get the bus to go skating by myself – I was only 8 – and the bus did come from Dudley but it had no number on it so didn’t get on it, so I went back to Pearly’s. I went in and she was in the bath, and she wasn’t very pleased to see me, and then all of a sudden my dad appeared. Well he was not very pleased to see me either, and I thought why was he there at that time when he was supposed to be at work? 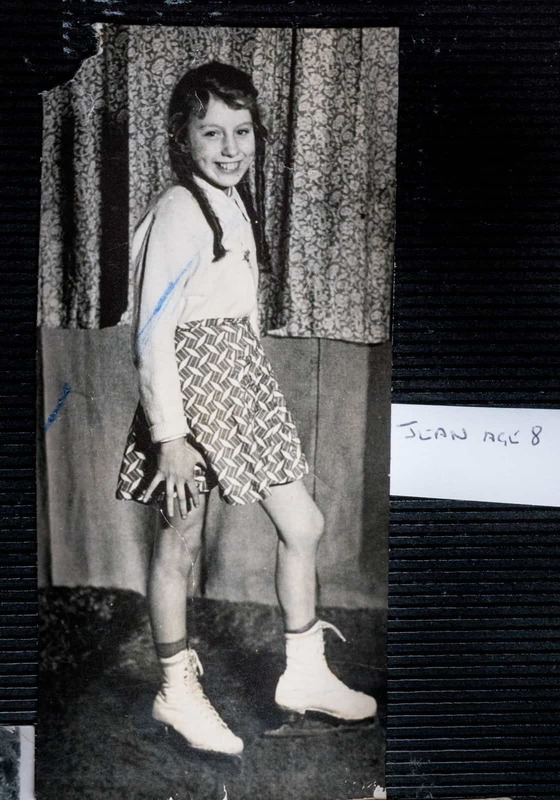 But I used to love the skating at Birmingham Ice Ring, but this story about my dad does come to mind whenever I look at this photo.